Maddox is a mage with dreams of immortality and a drinking problem. Heath is a faithless priest working as an assassin for hire, paired with a sentient sword. Jessa, the last daughter in a long line of Thrycean tyrants, is a timid young woman seeking to escape her domineering mother, Satryn. Rivern, the greatest city in the Protectorate, is a place of arcane magic and mechanical wonders that has stood for five hundred years as a bulwark against the tyrannical Stormlords of Thrycea. But Riven's strong foundation is beginning to crack. People are dying in their sleep, the dead are walking the streets, refugees are flooding the city, and a mysterious Harbinger has returned with dire omens that could mean the end of the Protectorate. 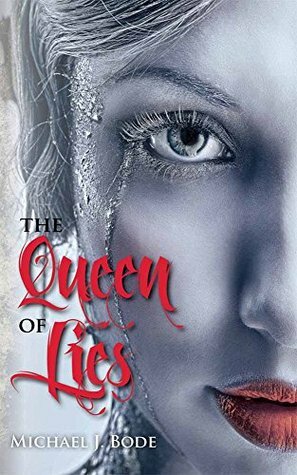 The Queen of Lies is a book about which I cannot, even now, decide how I feel. There were certain things about it that I loved: individual characters, the world building, the full LGBT spectrum displayed, and the wry humour. However, I struggled to connect with the plot overall. I became invested in certain characters, Maddox in particular, but my interest focused on those individual story arcs, rather than the piece as a whole. That said, this is the first book in a series, so perhaps that overall plot will become clearer and more gripping as the tale progresses. I would not rush to seek out but two, but I would certainly read it if the opportunity arose. I recommend this book to LGBT readers looking for an epic fantasy tale where romance is not the key element. 3.5 stars.